RHumans have fewer remnants of viral DNA in their genes compared to other mammals, a new study has found. This difference could be a result of reduced exposure to blood-borne viruses as humans evolved to use tools, rather than biting during violent conflicts and the hunting of animals. 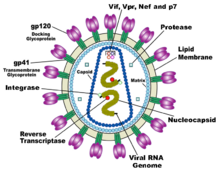 Despite natural defense systems, a retrovirus occasionally infects a mammal's egg or sperm, and the virus's genetic code is incorporated into the animal's own genome. This viral “fossil” is then passes down from generation to generation: we all carry remnants of DNA from viruses that infected our ancestors millions of years ago. These “endogenous retroviruses” (ERVs) appear not to cause us any harm, even though they are known to result in diseases such as cancer in other animals. A team of researchers from the University of Oxford and Plymouth University, both in the UK, and the Aaron Diamond AIDS Research Center in the USA, wondered if there was a combination of factors unique to humans that explained why these viral fossils in our genomes remain benign. The scientists counted the number of times that retroviruses appear to have been integrated into an animal's genome, comparing results in humans with results in 39 other mammalian species, including chimpanzees, dolphins, and giant pandas. Reporting their results recently in the journal Retrovirology, the researchers compared the genetic signature of the two edges of the integrate virus. These edges are identical when the virus first invades the genome, but as they acquire random mutations over time, they slowly begin to diverge. By tracking this divergence, the research team could measure how long the retrovirus had spent in an animal's genome. Research led by Nicolas Bazan, M.D., Ph.D., Boyd Professor, Ernest C. and Yvette C. Villere Chair of Retinal Degeneration Research, and Director of the Neuroscience Center of Excellence at Louisiana State University (LSU) Health New Orleans, has discovered gene interactions that determine whether cells live or die in such conditions as age-related macular degeneration (AMD) and ischemic stroke. When and if triggered, these gene interactions in vision and brain integrity can prevent blindness and also promote recovery from a stroke. The open-access article reporting these findings was published online on January 30, 2015 in Cell Death & Differentiation. "Studying the eye and the brain might hold the key to creating therapeutic solutions for blindness, stroke, and other seemingly unrelated conditions associated with the central nervous system," notes Dr. Bazan. "The eye is a window to the brain." Dr. Bazan and his research team discovered neuroprotectin D1 (NPD1), which is made from the essential fatty acid, docosahexaenoic acid (DHA). Previous work had shown that, while NPD1 protected cells, the molecular principles underlying this protection were not known. "During the last few years, my laboratory has been immersed in studying gene regulation," Dr. Bazan says. "We have uncovered a novel control that makes definitive decisions about whether a retina or brain cell will survive or die when threatened with disease onset. The gene mechanism that we discovered is the interplay of two genes turned on by the messenger neuroprotectin D1." Investigators at Nationwide Children's Hospital have developed an analysis "pipeline" that slashes the time it takes to search a person's genome for disease-causing variations from weeks to hours. An open-access article describing the ultra-fast, highly scalable software was published online on January 20, 2015 in Genome Biology. "It took around 13 years and $3 billion to sequence the first human genome," says Peter White, Ph.D., principal investigator and director of the Biomedical Genomics Core at Nationwide Children's and the study's senior author. "Now, even the smallest research groups can complete genomic sequencing in a matter of days. However, once you've generated all that data, that's the point where many groups hit a wall. After a genome is sequenced, scientists are left with billions of data points to analyze before any truly useful information can be gleaned for use in research and clinical settings." To overcome the challenges of analyzing that large amount of data, Dr. White and his team developed a computational pipeline called "Churchill." By using novel computational techniques, Churchill allows efficient analysis of a whole genome sample in as little as 90 minutes. "Churchill fully automates the analytical process required to take raw sequence data through a series of complex and computationally intensive processes, ultimately producing a list of genetic variants ready for clinical interpretation and tertiary analysis," Dr. White explains. "Each step in the process was optimized to significantly reduce analysis time, without sacrificing data integrity, resulting in an analysis method that is 100 percent reproducible." In a finding vital to effective species management, a team including City College of New York (CCNY) biologists has determined that the lined seahorse (Hippocampus erectus) is more a permanent resident of the western mid-Atlantic Ocean than a vagrant. The fish is commonly found in three western Atlantic zoogeographic provinces, although inhabitants of the temperate northern Virginia Province are often considered tropical vagrants that arrive during warm seasons from the southern provinces and perish as temperatures decline. Researchers including Ph.D. student J.T. Boehm and Dr. Michael Hickerson of CCNY decided to test the alternative hypotheses of historical persistence versus the ephemerality of a northern Virginia Province population. They used a dataset consisting of 11,708 randomly sampled spots from the genomes of individuals collected from the eastern Gulf of Mexico to Long Island, New York. "Concordant results from genomic analyses all infer three genetically divergent subpopulations, and strongly support Virginia Province inhabitants as a genetically diverged and a historically persistent ancestral gene pool," said Mr. Boehm. The results suggested that individuals that emerge in coastal areas during the warm season can be considered "local" and support offshore migration during the colder months. "This research demonstrates how a large number of genes sampled across a geographical range can capture the diversity of coalescent histories (across loci) while inferring population history," said Dr. Hickerson. "Moreover, these results clearly demonstrate the utility of population genomic data to infer peripheral subpopulation persistence in difficult-to-observe species." The study was published online on January 28, 2015 in an article in the open-access journal PLOS ONE. The image shows a lined seahorse (Hippocampus erectus). Copy number variations (CNVs), which are deletions or duplications of large chunks of the genome, are a major cause of birth defects, intellectual disability, autism spectrum disorder, and other developmental disorders. Still, geneticists can definitively say how a CNV, once discovered in someone's DNA, leads to one of these conditions in only a very small fraction of cases. To aid in the interpretation of CNVs, researchers at Emory University School of Medicine have completed detailed maps of 184 DNA duplications found in the genomes of individuals referred for genetic testing. The findings have published online in the American Journal of Human Genetics (AJHG) and are currently available (see link below). "Ours is the first study to investigate a large cohort of clinically relevant duplications throughout the genome," says senior author Katie Rudd, Ph.D., Assistant Professor of Human Genetics at Emory University School of Medicine. "These new data could help geneticists explain CNV test results to referring doctors and parents, and also reveal mechanisms of how duplications form in the first place." Despite advances in "next-generation" DNA sequencing, the first step for patients who are referred to a clinical geneticist is currently microarray analysis. This is a scan using many probes across the genome, testing if someone's DNA has one, two, three, or more copies of the DNA corresponding to the probe (two is the baseline). From this scan, geneticists will have a ballpark estimate of where a deletion or duplication starts and ends, but won't know where the breakpoints are exactly. "In a few years, advances in sequencing will make it possible to routinely capture data on copy number variation and breakpoints at the same time," Dr. Rudd says. "But for now, we have to do this extra step." A complex interplay of molecular components governs almost all aspects of biological sciences - healthy organism development, disease progression, and drug efficacy are all dependent on the way life's molecules interact in the body. Understanding these bio-molecular interactions is critical for the discovery of new, more effective therapeutics and diagnostics to diagnose and treat cancer and other diseases, but previously, to achieve such understanding, scientists have been required to have access to expensive and elaborate laboratory equipment. Now, a new approach developed by researchers at the Wyss Institute for Biologically Inspired Engineering, Boston Children's Hospital and Harvard Medical School, promises a much faster and more affordable way to examine bio-molecular behavior, opening the door for scientists in virtually any laboratory world-wide to join the quest for creating better drugs. The findings were published in the February 2015 issue of Nature Methods. "Bio-molecular interaction analysis, a cornerstone of biomedical research, is traditionally accomplished using equipment that can cost hundreds of thousands of dollars," said Wyss Associate Faculty member Wesley P. Wong, Ph.D., senior author of the Nature Methods study. "Rather than develop a new instrument, we've created a nanoscale tool made from strands of DNA that can detect and report how molecules behave, enabling biological measurements to be made by almost anyone, using only common and inexpensive laboratory reagents." Dr. Wong, who is also Assistant Professor at Harvard Medical School in the Departments of Biological Chemistry & Molecular Pharmacology and Pediatrics and Investigator at the Program in Cellular and Molecular Medicine at Boston Children's Hospital, calls the new tools DNA "nanoswitches". University of Texas (UT) Southwestern Medical Center scientists have identified a strong link between the most aggressive type of breast cancer and a gene that regulates the body's natural cellular recycling process, called autophagy. Based on analysis of two large breast cancer databases, reduced activity of an autophagy gene, beclin 1, was related to both a higher incidence of triple-negative breast cancer and a poorer prognosis for breast cancer patients. The study, published on January 16, 2015 in the online journal EBioMedicine, is the first to document a correlation between beclin 1 and triple-negative human breast cancer and validates research in mouse models. 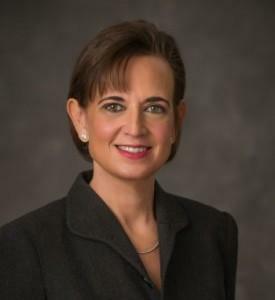 "We have potentially identified a new pathway to be targeted in the most aggressive, difficult-to-treat form of breast cancer," said Beth Levine, M.D., (photo), Director of the Center for Autophagy Research and a Howard Hughes Medical Institute (HHMI) Investigator at UT Southwestern. "These data suggest that decreased beclin 1 activity contributes to breast cancer and poor survival outcomes. As a result, therapies that increase beclin 1 activity in breast cancer may be beneficial." Triple-negative breast cancer, which accounts for 10 to 20 percent of breast cancer, is called such because the cancer's cells lack estrogen and progesterone receptors and also do not have an excess of the human growth factor receptor 2 (HER2) protein on their surfaces. Chemotherapy, the standard treatment, has been limited in its effectiveness against triple-negative breast cancer. "With low beclin 1 expression, you have up to a 35-fold higher risk of having triple-negative breast cancer. That's really strong," said Dr. Levine, who holds the Charles Cameron Sprague Distinguished Chair in Biomedical Science and is co-senior author of the study together with Dr.
During hibernation, animals cycle between torpor and arousal. These cycles involve dramatic, but poorly understood echanisms of dynamic physiological regulation at the level of gene expression. In each cycle, brown adipose tissue (BAT) drives periodic arousal from torpor by generating essential heat. We applied digital transcriptome analysis to precisely timed samples to identify molecular pathways that underlie the intense activity cycles of hibernator BAT. Paradoxically, a cohort of transcripts increased during torpor, paradoxical because transcription effectively ceases at these low temperatures. A new study, published online on January 27, 2015 in an open-access article in the journal eLife, shows that this increase occurs not by elevated transcription, but rather by enhanced stabilization associated with maintenance and/or extension of long poly(A) tails. The study further reported that mathematical modeling supports a temperature-sensitive mechanism to protect a subset of transcripts from ongoing bulk degradation instead of increased transcription. The authors reported that his subset was enriched in a C-rich motif and genes required for BAT activation, suggesting a model and mechanism to prioritize translation of key proteins for thermogenesis. The eLife article was entitled,”Enhanced Stability and Polyadenylation of Select mRNAs Support Rapid Thermogenesis in the Brown Fat of Hibernators.” The authors were scientists from the University of Colorado School of Medicine, the Colorado School of Mines, and the HudsonAlpha Institute for Biotechnology. Researchers at the Huntsman Cancer Institute (HCI) at the University of Utah, and at collaborating institutions, have found that defects in how cells are squeezed out of overcrowded tissue to die, a process called extrusion, may be a mechanism by which pancreatic cancer begins. From these findings, the scientists may have identified an effective way to reverse the defective extrusion's effects without destroying normal tissues nearby. The results were published online on January 26, 2015 in an open-access article in the journal eLife. The study focuses on the epithelia, tissues lining the cavities and surfaces of structures throughout the body, including organs such as the pancreas. It is already well-established that most solid tumors arise from this type of tissue. The HCI research team analyzed previous published microarray data and found that a receptor for the lipid sphingosine 1-phosphate (S1P2) that is critical for the extrusion process is significantly reduced in the most common type of pancreas cancer known as pancreatic ductal adenocarcinoma (PDAC), lung cancer, and some types of colon cancer--all aggressive cancers that resist treatment with chemotherapy. Focusing on cells from PDAC tumors, the team found that reduced S1P2 levels led to reduced extrusion and cell death rates. About 50% of the cells did not extrude and formed masses, while most of the remaining ones extruded underneath instead of outside the cell layer. "This kind of altered extrusion may be a common hallmark of invasive tumor types," said Jody Rosenblatt, Ph.D., co-author of the study, Associate Professor in the Department of Oncological Sciences at the University of Utah School of Medicine, and an HCI investigator. Evidence is rapidly growing showing vital relationships between both diet quality and potential nutritional deficiencies and mental health, a new international collaboration led by the University of Melbourne and Deakin University, also in Melbourne, has revealed. In an article published online in The Lancet Psychiatry ton January 29, 2015, leading academics state that, as with a range of medical conditions, psychiatry and public health should now recognize and embrace diet and nutrition as key determinants of mental health. Lead author, Dr. Jerome Sarris (image) from the University of Melbourne and a member of the International Society for Nutritional Psychiatry Research (ISNPR), said psychiatry is at a critical stage, with the current medically-focused model having achieved only modest benefits in addressing the global burden of poor mental health. "While the determinants of mental health are complex, the emerging and compelling evidence for nutrition as a key factor in the high prevalence and incidence of mental disorders suggests that nutrition is as important to psychiatry as it is to cardiology, endocrinology, and gastroenterology," Dr. Sarris said. "In the last few years, significant links have been established between nutritional quality and mental health. Scientifically, rigorous studies have made important contributions to our understanding of the role of nutrition in mental health," he said. Findings of the review in The Lancet Psychology revealed that, in addition to dietary improvement, evidence now supports the contention that nutrient-based prescription has the potential to assist in the management of mental disorders at the individual and population level.